Earth will soon be home to 7 billion people. Where do you fit in? You may have noticed quite a few mentions of planet Earth closing in on the magic ‘7 billion’ mark in recent weeks. The UN has put up an online calculator which is counting up to the milestone, and it’s currently sitting at the 6.999bn mark – it should surpass 7bn pretty soon. I was number 4,290,368,172 on Earth when I was born, and number 78,786,731,841 in terms of the number of people to have lived…ever. If you leave the country field blank, it will inform you that there are 15,347 births every hour globally, but only 6,418 deaths equating to an average yearly growth of 1.162%. The global population is expected to reach 10bn by 2083, however the rate of growth is expected to slow. Little of the current growth is happening in developed countries. Also, the average family size globally has declined by half since 1950 – from five children in to 2.5. 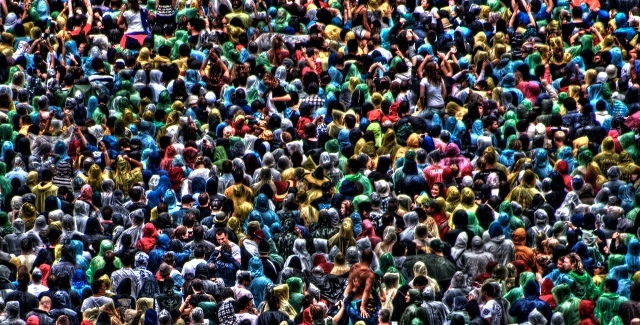 Check out the BBC population tool for yourself: 7 billion people and you: What’s your number?